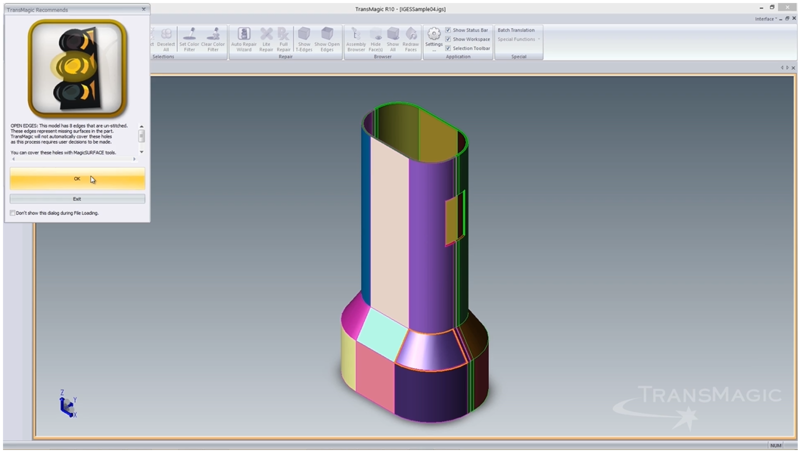 TransMagic licenses formats directly from their owner, so you can rest assured you will have a quality 3D CAD conversion. Before you start working on a 3D file, make sure it is valid. All surfaces are joined, it is “watertight” and non-manifold conditions do not exist. If there is a problem, TransMagic will graphically show you the defects in the geometry. And, guess what? You don’t have to be a CAD jockey to understand the feedback. 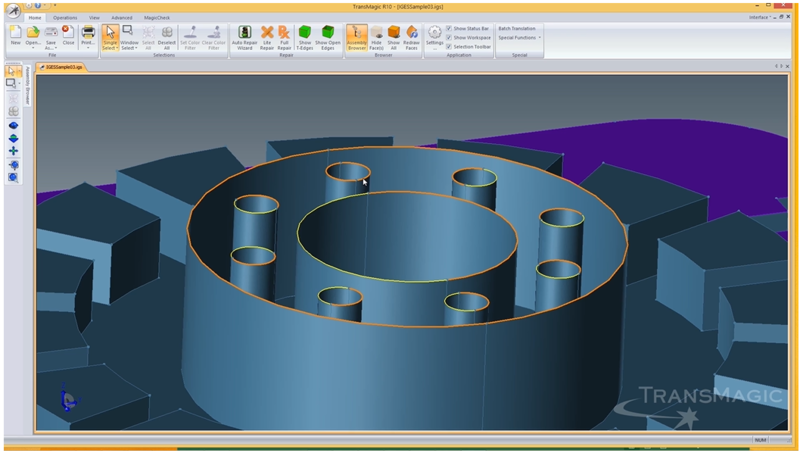 TransMagic allows you to easily combine 3D CAD models into a single instance. Because translation is our middle name (well, actually our first), you can easily combine models from different formats. Yes, we do that too. Including PMI and MBD. TransMagic has powerful annotation tools that are attached to the 3D model. In addition, we support Model-Based Definition (MBD). TransMagic not only saves in time, but in money. We don’t have to buy licenses for a lot of different CAD software. We couldn’t do the job without TransMagic. TransMagic solved the UG/Parasolid/ACIS nightmare. We work in Inventor and Rhino and were having a tough time getting accurate data from our clients using UG-NX. TransMagic has allowed us to import all of the Parasolid and IGES files and convert them to ACIS for use in Inventor. It has paid for itself in a month. Until a single CAD system does arrive for the auto industry, suppliers who have to work in this multi-CAD environment now have an interesting, intermediate option; a literal ace in their pocket besides the usual translators like IGES and STEP. It’s called TransMagic! Please complete this form. You will receive an email with download instructions.